Now’s not the time to chicken out, get a chance to receive up to PHP500 worth of Max’s Group gift certificates by simply satisfying your chicken-hungry appetites with the first-ever All About Chicken promo of Max’s Group Inc. (MGI)! The All About Chicken promo has chicken fanatics everywhere covered no matter what specific chicken experience they’re craving as long as it’s from Max’s Group. 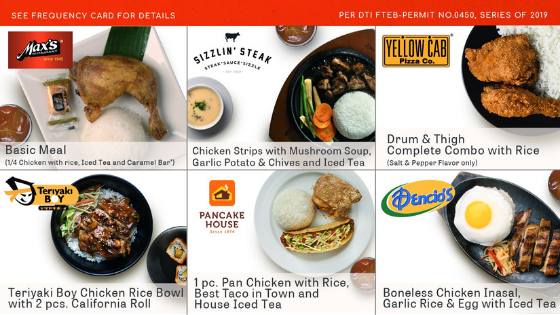 Here are the chicken meals waiting for you at your favorite Max’s Group restaurants. 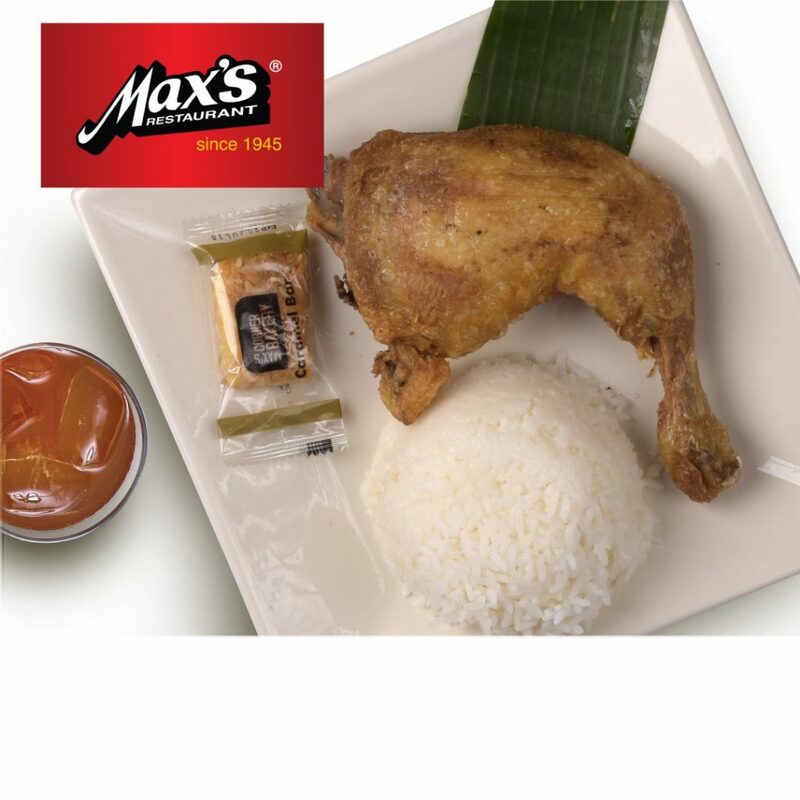 Fans of the Sarap-To-The-Bones Fried Chicken can head over to Max’s Restaurant for the Basic ¼ Chicken Meal. 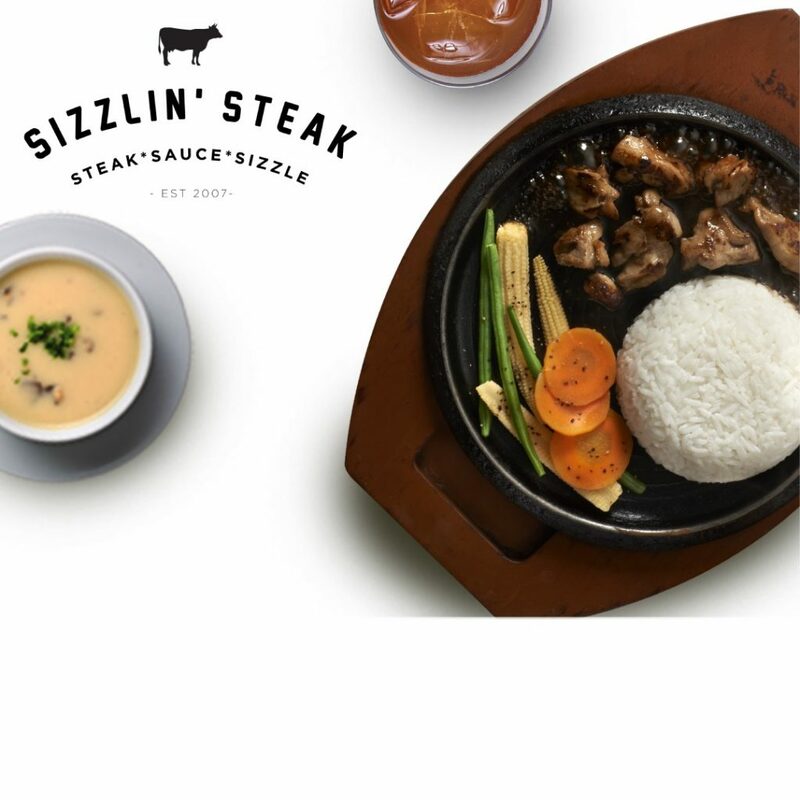 Those who like their chicken sizzling hot can try the Chicken Strips with Mushroom Soup and Garlic Potato & Chives at Sizzlin’ Steak. 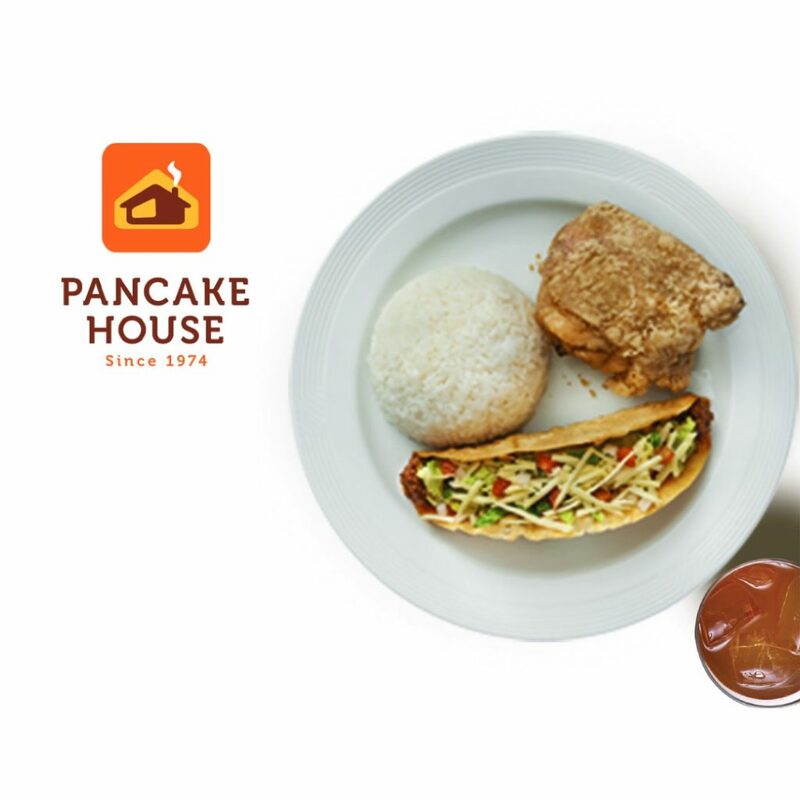 Want your crispy, fried chicken flavored only with the classic combination of salt & pepper? 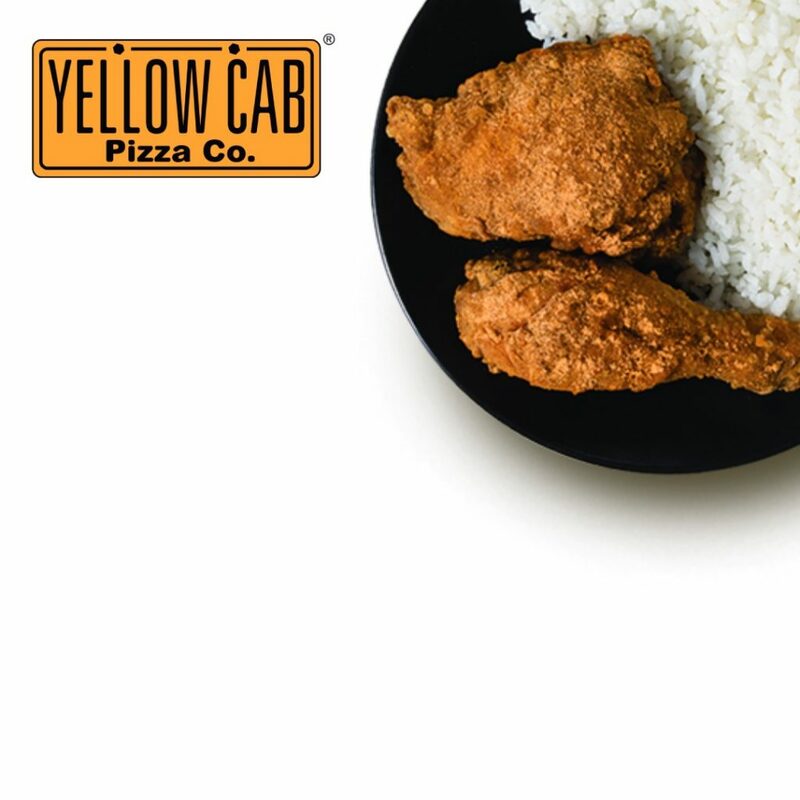 Yellow Cab has you covered with its Drum & Thigh Complete Combo with Rice. 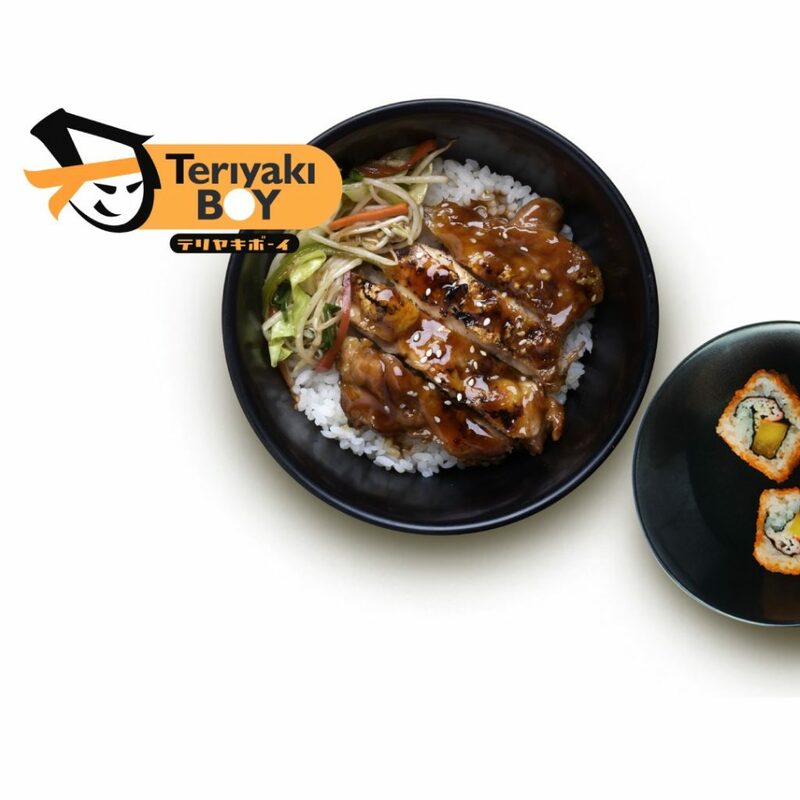 Solve your cravings with Teriyaki Boy’s Chicken Rice Bowl with two (2) pieces of California Roll. 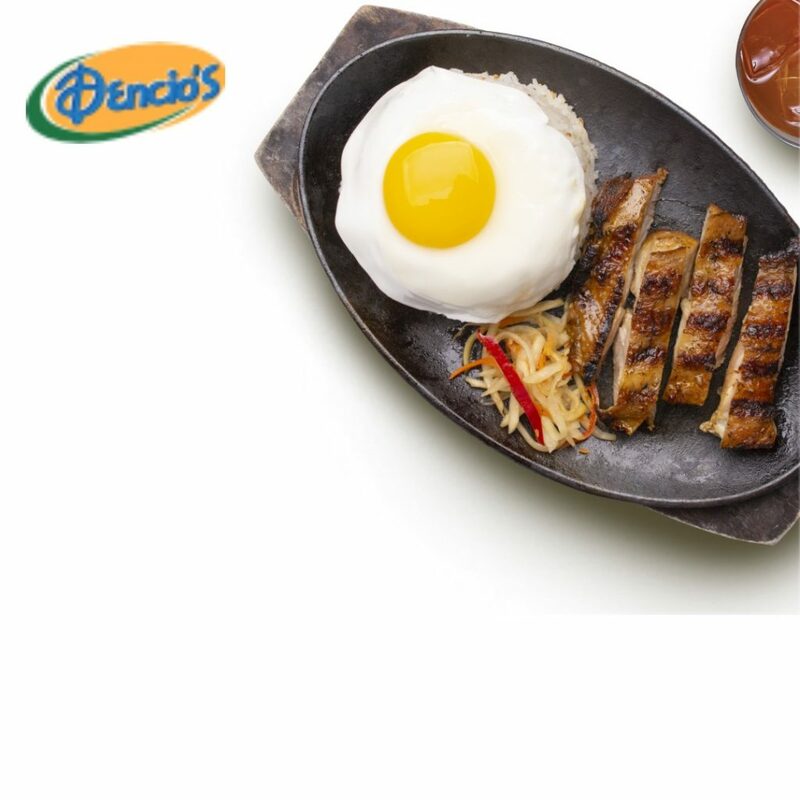 Don’t forget the local favorite that is the Boneless Chicken Inasal made extra special at Dencio’s. 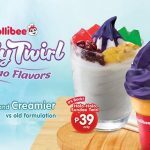 How to avail the promo? From February 15 to April 15, chicken lovers can order their favorite chicken meals from any participating Max’s Group restaurants worth PHP199 each in exchange for stickers for their all About Chicken promo card. 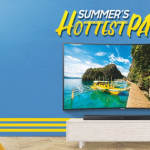 As few as three stickers can earn you PHP100 back! A maximum of three (3) stickers may be given to each customer per visit, but with so many options to choose from, there will always be a reason to go back and enjoy more of Max’s Group’s wide selection of delicious chicken offerings. 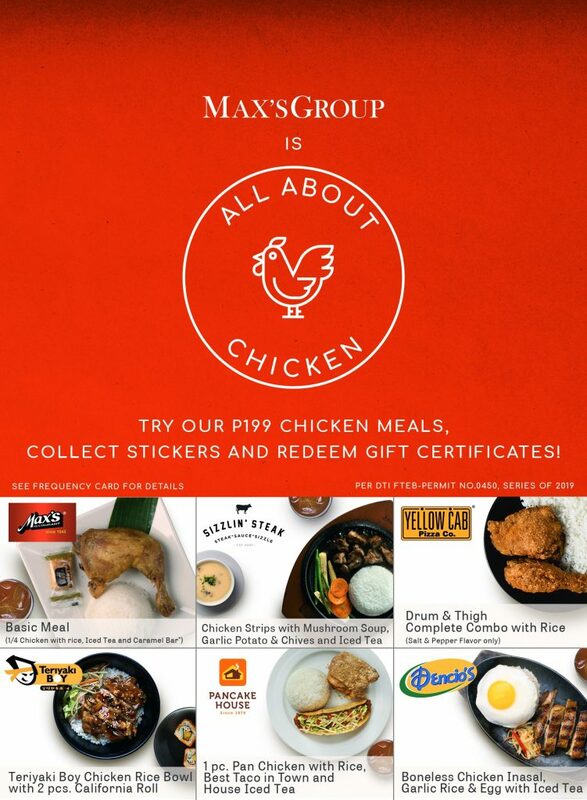 Satisfy your chicken craving at any participating Max’s Group restaurants and start collecting stickers to redeem gift certificates. You get rewarded for eating more of what you love with the All About Chicken promo. 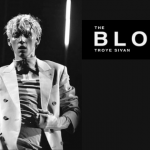 For more details, follow Max’s Group on Facebook. To know more about Max’s Group, please visit their website.